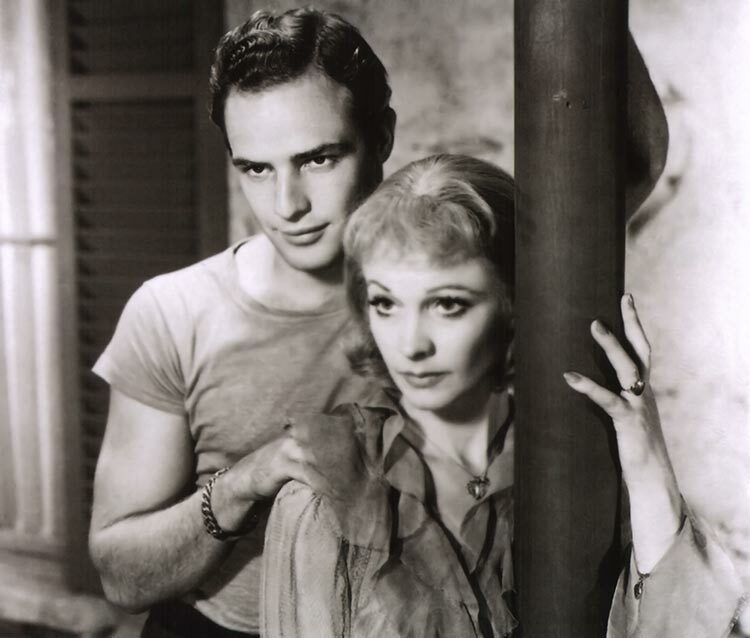 THE BLOG Subjects of Emotional Insight in "A Streetcar Named Desire"
Blanche [with faintly hysterical humour]: They told me to take a streetcar named Desire, and then transfer to one called Cemeteries and ride six blocks and get off at -Elysian Fields! The Elysian Fields or Elysium refer to a beautiful meadow in Homer where the favored of Zeus enjoy perfect happiness. By the time of Vergil (Virgil), the Elysian Fields had been located in the Underworld as the home of the dead who were judged worthy. In the Aeneid, those blessed dead compose poetry, sing, dance, and tend to their chariots. Aeneas talks to Anchises in the Elysian Fields in Book VI of the Aeneid. Blanche has travelled a path of life (desire), past death (cemeteries), to heaven (Elysian Fields). So far so good. But what does this tell us about the subjects of emotional insight into which Williams is looking? There are many classical myths in which characters visit the underworld. And in Dante’s Divine Comedy, considered one of the world’s greatest works of art, the protagonist visits Hell, Purgatory and Heaven. “Streetcar” is in this tradition. She is visiting Heaven – travelling through it, in the tradition of the classic myths. Indeed, she leaves it at the play’s end. She’s thrown out. Here’s my observation: it appears to me that the characters living in Elysian Fields – Stella, Stanley, and their friends – are happy – actually happy, as one presumably is in heaven. Blanche is still in the condition of pre-happiness (or, in her case, unhappiness) that is the condition of almost all of us living on earth. So in this play Williams presents enormous emotional insights into the nature of happiness and unhappiness. Stanley [to Mitch]: Well, what did he say? Mitch: He said he’d give us even money. Stanley [bellowing]: Hey, there! Stella, Baby! Stella [mildly]: Don’t holler at me like that. Hi, Mitch. Stella [calling after him]: Stanley! Where are you going? Stella: Can I come watch? Eunice [finally]: What’s the matter, honey? Are you lost? Eunice: That’s where you are now. Eunice: This here is Elysian Fields. Eunice: What number you lookin’ for? Eunice: You don’t have to look no further. Blanche [uncomprehendingly]: I’m looking for my sister Stella DuBois. I mean – Mrs Stanley Kowalski. Eunice: That’s the party. – You just did miss her, though. Blanche: This – can this be – her home? Eunice: She’s got the downstairs here and I got the up. Blanche [faintly to herself]: I’ve got to keep hold of myself! Stella [calling out joyfully]: Blanche! Blanche: Stella, oh, Stella, Stella! Stella for Star! Blanche: Now, then, let me look at you. But don’t you look at me, Stella, no, no, no, not till later, not till I’ve bathed and rested! And turn that over-light off! Turn that off! I won’t be looked at in this merciless glare! [Stella laughs and complies.] Come back here now! Oh, my baby ! Stella! Stella for Star! [She embraces her again.] I thought you would never come back to this horrible place! What am I saying! I didn’t mean to say that. I meant to be nice about it and say – Oh, what a convenient location and such – Ha-a-ha! Precious lamb! You haven’t said a word to me. Blanche: No, now seriously, putting joking aside. Why didn’t you tell me, why didn’t you write me, honey, why didn’t you let me know? Stella [carefully, pouring herself a drink]: Tell you what, Blanche? Blanche: Why, that you had to live in these conditions! Blanche doesn’t know happiness when it’s in front of her. Isn’t this the case for many of us? The appreciation of Williams’ work goes far beyond these merely intellectual observations, and requires a use of the reader’s emotional ability. Do you feel what Blanche is feeling? Blanche is intruding on Stella and Stanley’s happy marriage. She cannot understand what joy they find with each other and their Friends. Thanks very much for these great observations, Beatrice!